How much treasonous and traitorous behavior must Americans endure from our leaders? 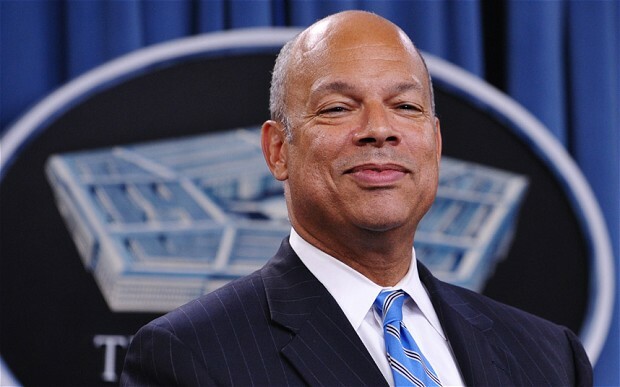 Monday evening December 7th – Pearl Harbor Day – the Secretary of the Department of Homeland Security (DHS) – Jeh Johnson – will hold a press conference at the Muslim Brotherhood/Hamas ADAMS Center in Sterling, VA. The ADAMS Center was founded by senior Muslim Brotherhood leaders including Ahmed Totonji who still resides in Northern Virginia and was the Chairman of the Board for the ADAMS Center. Totonji also founded major Muslim Brotherhood organizations including the International Institute of Islamic Thought (IIIT), the SAFA Trust (raided by the FBI), and others. Moreover, the Executive Director of the ADAMS Center – Imam Mohamed Magid – is the outgoing President of the Islamic Society of North America (ISNA), identified by the Department of Justice and FBI as the “nucleus” for the Muslim Brotherhood’s Movement in America and a funding support entity for Hamas, a designated terrorist organization. ISNA remains an unindicted co-conspirator in the largest terrorism financing and Hamas trial ever successfully prosecuted in American history (US v Holy Land Foundation, Dallas, 2008). ADAMS also states on their website that 1/8 of all the Zakat they collect goes to JIHAD…terrorism. And this is the place the Secretary of Homeland Security has decided to go to talk about the “civil rights” of Muslims. At what point do we collectively realize leaders like this cannot claim ignorance of the enemy at this level. Therefore, a rational person would surmise Secretary Johnson is aware ISNA and ADAMS are enemy entities, yet he is going to provide support to them none-the-less. In these times, Americans have a number of enemies. In this case, there is the identifiable jihadi threat from organizations like ISNA, NAIT, MPAC, CAIR and so many others. The enemy also includes senior government officials like Secretary Johnson who is aiding and abetting a Hamas support entity whose doctrine states it is waging “civilization jihad” against us to “destroy America from within” in order to establish and Islamic state under Sharia (Islamic Law). Seems like that Mr. Johnson’s continued efforts to protect and support enemies of the United States meets the legal criteria of Treason, much like his colleague in the Attorney General’s office. 18 U.S. Code § 2381 – Treason: Whoever, owing allegiance to the United States, levies war against them or adheres to their enemies, giving them aid and comfort within the United States or elsewhere, is guilty of treason and shall suffer death, or shall be imprisoned not less than five years and fined under this title but not less than $10,000; and shall be incapable of holding any office under the United States. Jeh, like John Brennen and Obama are enemy agents , and are the tip of the pyramid of the infestation in the US. IF the American people remain stupid and ignorant of this fact, their blood will cause the sea level rise, not global warming. THANKS, John, for all that you do, keeping us informed of the different strategies employed by our enemies in waging civilization jihad. I posted this article on my Facebook page and I’m still active with ACT for America! here in the Alamo city. Although the majority of my Facebook friends are still filled with skepticism, I will continue the mission to inform and educate them regarding the threat. Hope you have a safe and happy Christmas season. Thanks again and stay safe! Semper Fidelis! How has it come to pass, that our government is now Muslim, and Americans will be arrested for dissing any Muslim? Why are the elected and appointed dignitaries not being arrested for Treason? Death or 5 years and a fine. That’s kind of vague isn’t it? Either way, our government and media are loaded with traitors. Treason has become both chic, hip and cool as well as official government policy. I decided to go to the ADAMSCENTER website to look for the part that says 1/8 of their zakat goes to fund jihad terrorism but couldn’t find it. Please link to it if it is still up. That seems like a pretty cut and dry case if it actually says that. Aid & Comfort to an Enemy… did the Attorney General offer her services? barry Hussein is ISIS… the whole world knows it. How much mor obvious must it become? If swarms of military-age male refugees are pilgrims, then i reckon the Amerikens will experience the same outcome as the original native americans when european pilgrims began to trespass on this land…..
Just look at his treasonous smirk. Odama faked taking the oath for President he secretly retook it inside on the Quran surruoned with ISLAMIC MUSLIMS and politician sympathizers/treason since then he has quietly been establishing anti-American muslims into high positions within his cabinet throughout our legal/justice dept. infesting all divisions of law enforcement until now an American looks wrong at a illegal mosque or muslim and we get arrested. This muslim agenda is a silent movement of war against every patriotic American and sadly too many of us has fallen for it with their rhetoric of poor misunderstood muslims,we must get our truth back we are at war with a Islamic religion that demands killing every last non-believer on this earth now and they get bigger with intense increase in population and support the larger and deadly the attacks will be we just saw another treaty broken with Iran just last week when they shot up a test missile NO ONE said a concern about it here in the USA. WE well keep our GREAT CONSTITUTION OUR BILL of RIGHTS and everyone needs to have a gun and carry it start standing up for yourself and your country it won’t take them/muslims long to win this genocide. Obama knows his last year is going to be a pandoras box for us HELL is now on a fast track aimed at us all and our governing laws at this time I would say he is working hard to be dictator if no one stops him. ALL Muslims are murderers of the innocents, by COMMAND of the Quran. The cowardice of our congress to allow those traitors to continue is beyond my imagination! Even Egypt and the United arab emirates declare the MB as a terrorist organization and they are so right as is Hamas! The biggest threat to the USA and the world is Obama! Seems the whole of DC is filled with TRAITORS!! Arm up america the war is here! I agree absolutely. In fact I’ll go one step further. Not only should he be brought up on charges of treason he should be put before a firing squad, of which I would gladly supply the cartridge. I like the old saying; “If you are not a part of the solution, you ARE a part of the problem”. Obviously that idiot believes he is part of the solution in negotiating with terrorist organizations. Just his presence is part and parcel to what can be considered a negotiation. If you don’t support them, you do not speak with them or attend their presentations. YOU DON’T NEGOTIATE WITH TERRORIST. THEY THINK YOU’RE AN IDIOT FOR DOING SO, THUS GIVING THEM A JUSTIFICATION FOR KILLING YOU. WHY? BECAUSE IN NEGOTIATING WITH THEM PROVES TO THEM YOU ARE AN IDIOT WORTH DESTROYING BECAUSE YOU ARE WEAK !!! OPINION — One of your UTT moderators may be interested in the exclusive RT News is running today i.e. regarding the revelation by a Turkish politician that ISIS has been recently involved in the mixing of SARIN, in Syria. Not a word about same on Drudge today, nor, presumably, from the DHS.